What a year of change this has been! “The Spirit itself beareth witness with our spirit, that we are the children of God” (Romans 8:16). Greetings! This is my first year as president, Board of Executives, National Society for Persons with Disabilities. 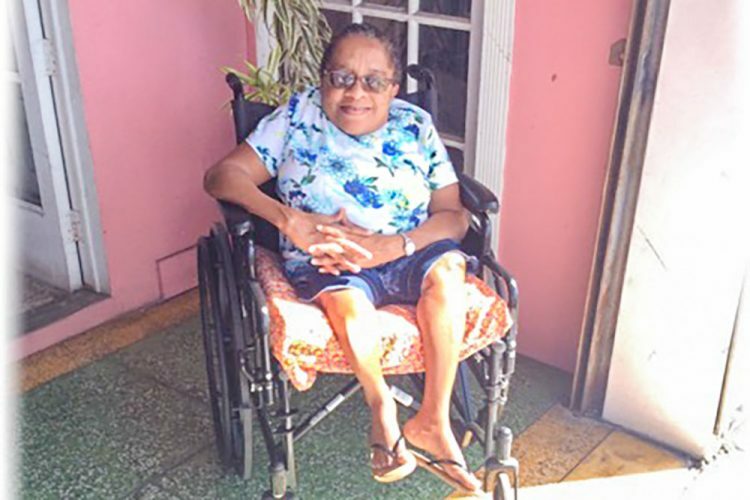 Our mission is to advocate for and promote effective measures for the prevention of needless disabilities and for the education, and training, rehabilitation, employment and welfare, and to facilitate the integration of persons with disabilities into the Vincentian Society. We consider a disability to be a functional limitation that may interfere with a person’s ability to walk, hear, talk, see, think, and learn, but does not affect each person in the same way. In addition, some people may have multiple disabilities in varying degrees. What a year of change this has been! Many exciting things are happening. We held our AGM in September after seven years of dormancy. Our subject Minister, Hon. Fredrick Stevenson, and Permanent Secretary Ms. Nerrisa Gittens of the Ministry of National Mobilization Social Development, Family, Gender Affairs, Persons with Disabilities & Youth, graced our Secretariat with their presence to discuss with our newly elected board members, the many challenges facing our organization and persons with disabilities in our society. Coming out of this meeting, we hope to see strengthened collaborations to further advance our quest to register persons with disabilities with special Identification cards, which will allow holders to access especially medical services at subsidized service charge rates. We continued our lobbying for a member to be assigned a permanent post as Liaison within the ministry to directly address and coordinate issues related to persons with disabilities; last but not least, we have renewed our efforts for Cabinet approval of a policy paper for the inclusion and integration of persons with disabilities in St. Vincent and the Grenadines. At present, we are in search of a new and/or permanent home to house our office Secretariat to improve the business/training environment for our members and staff. We would like to applaud the kind and timely intervention of Minister Fredericks to have renewed the service contract of our Admin Officer, whose patience and commitment help navigate us through our daily chores and into new uncharted waters. In closing, we are excited about what 2019 may bring in anticipation of the approved OECS Skills Empowerment Training Project for Vulnerable Youths and Persons with Disabilities, Funded by the DFID, spanning a period of four years. This opportunity will certainly serve to enhance the capacity and skills of persons with disabilities to become more self-sufficient. The NDPD is committed to helping people with disabilities lead independent lives by providing advocacy, education and direct services. We will continue to seek more creative ways of providing training for those with physical, mental, and emotional impairments. But there is an even greater need to reduce the barriers imposed by a lack of understanding and acceptance of those who have disabilities. This time of year brings joy and happiness to our families and friends. We are thankful for the time that we can spend together. May we all be grateful for the many friendships here at NSPD. Do continue to enjoy the Christ–filled festivities and events of this month. On behalf of the Board, we wish the past executive members, trustees, staff, volunteers and donors, a wonderful Christmas season and hope the New Year brings good health and happiness to each of you.